Comments: This is a tropical plant that grows best in outdoor environments in Zones 10 and 11. However, it is one of the most popular tropicals that are forced to grow indoors where natural light is much too low to keep plants from dropping leaves indoors. Plants do best in morning sunlight in a moist, well drained soil and protected from the hot noonday sunlight. This is an excellent plant for growing in containers on decks, patios, and terraces where the colorful foliage can be enjoyed. 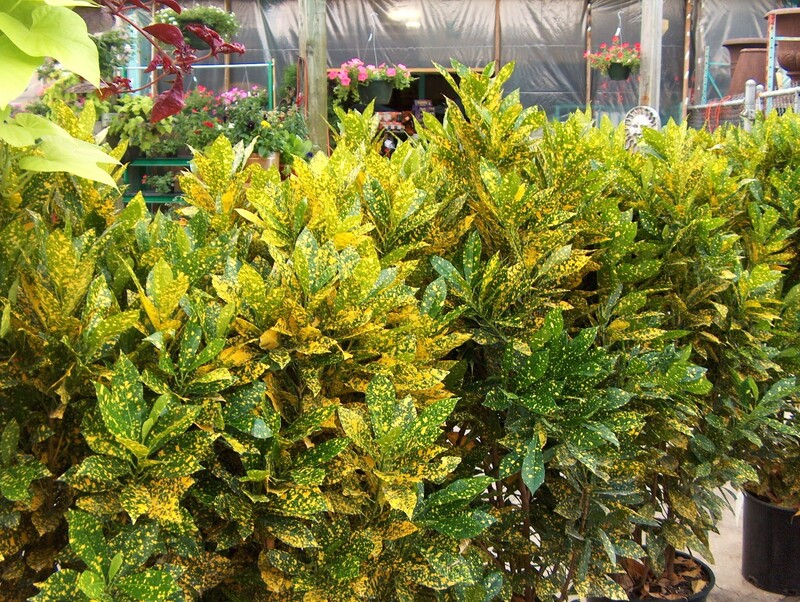 Protect croton from cold, drafty conditions. They will drop foliage at temperatures well above freezing. Old, straggly plants can be repotted, cut back, fertilized and placed outdoors during the summer months to rejuvenate old, tired plants.